The Passion Project is a practical blog posts that help readers pursue their passion. 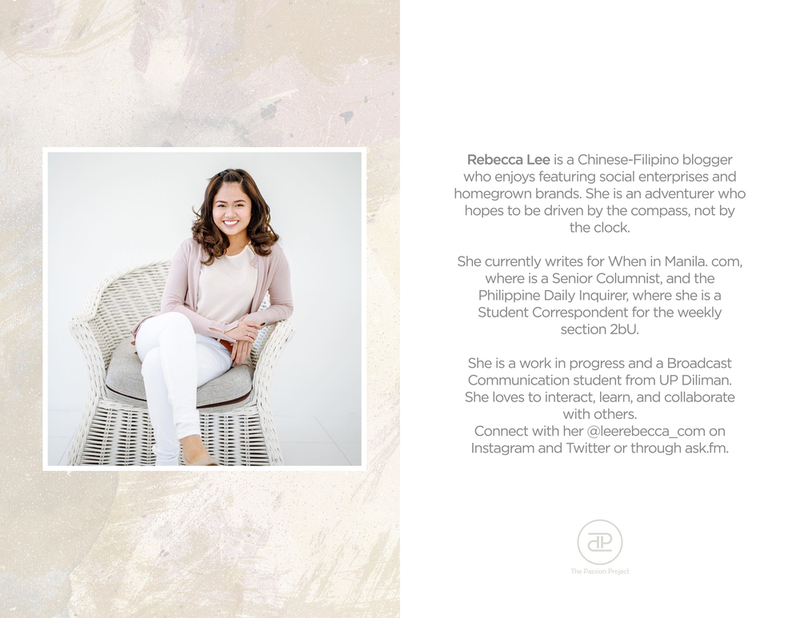 It is founded by Rebecca Lee, a Chinese-Filipino blogger who enjoys featuring social enterprises and homegrown brands. She currently writes for When in Manila. com, where is a Senior Columnist, and the Philippine Daily Inquirer, where she is a Student Correspondent for the weekly section 2bU. For this project, Rebecca wanted the new logo to be classy, timeless, professional, comfortable and approachable. 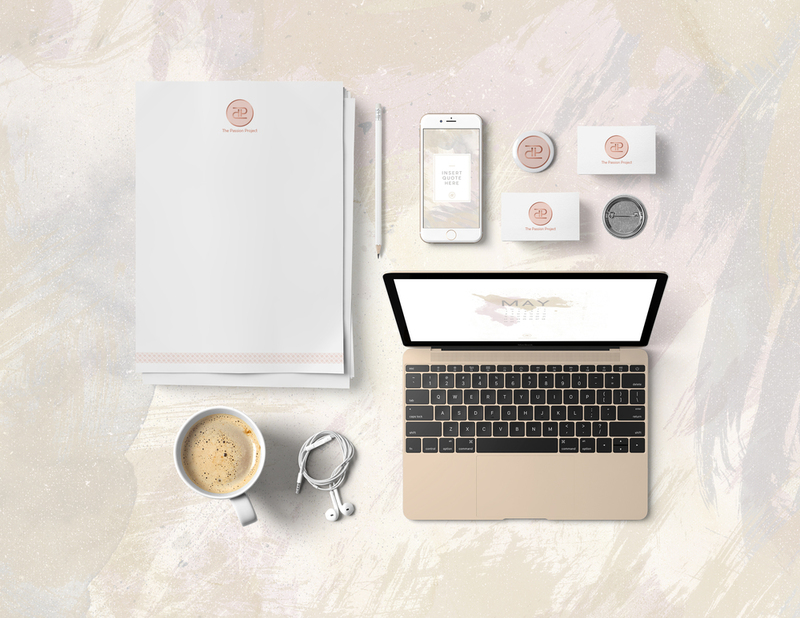 She’s always been a fan of watercolor designs and rose gold, so we applied it in her letterhead and online collaterals.